Our Sunday worship service begins at 10:30 AM. Value - Our values are Biblical and are ordered by the Holy Spirit! 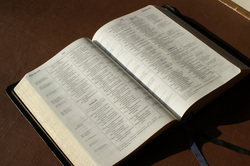 It's a challenge to be IN this world and not OF it (John 17) but all we need our Father has given and shown in His Word. His values are our values! Prayer is the foundation for everything. Fruitfulness (productivity) is important to God. Every Christian is a leader; there are no insignificant people. All of life is about serving the Lord. We love the world like our heavenly Father loves the world.